Emma Grace Dalton Murphy went to her heavenly home on November 27, 2018 at 8:26 p.m. surrounded by her family and 91 years and a day after she first lit the world with her twinkling eyes and radiant smile. Her loveliness, both inside and out, was unmatched and will be dearly missed by everyone fortunate enough to know her. Grace was born in Wayland, KY on November 26, 1927, to Tomie and Icie Dalton. She spent her childhood in Ansted WV, then graduated from Fairview High School in WV. Grace married the love of her life, David Paul Murphy Jr. on January 10, 1948, at St. Michaels Catholic Church in Paintsville, KY. His career on the railroad resulted in many moves over many years which suited the “happy feet” she inherited from her ancestors just fine. Some of Grace’s greatest joys were family time, music, and traveling. She loved the mountains and greatly enjoyed her retirement years with her husband Paul in the Great Smoky Mountains. The grandchildren loved going to Granny and Paw Paw’s, having bonfires, picking berries, and exploring the glade. Grace was proceeded in death by her husband Paul, a son Samuel Martin Murphy, a great grandson Jarred Andrew Brock, daughter- in – law Darcee Murphy, her parents, and four sisters, Mavoureen Nutter, Lorraine Saunders, Betty June Martin, and Mary Jane Minix. She is survived by 3 daughters Mary Figert of Roann, IN, Anne (Dave) Howard of Sevierville, TN, Jane (Wayne) Mannies of Peru, IN and 6 sons, Dave (Beth) Murphy of Fort Wayne, IN, Tim (Patty) Murphy of Kokomo, IN, Pat Murphy of Brookville, IN, Tom (Mark) Murphy of Louisville, KY, Kevin Murphy of Brookville, IN, and Jim Murphy of Brookville, IN. 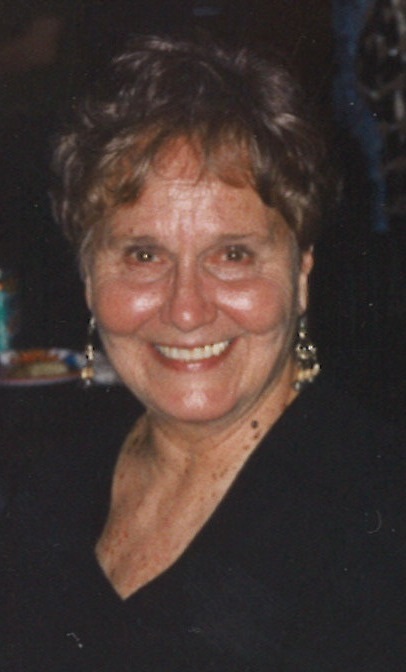 She also leaves behind 29 grandchildren and 27 great-grandchildren, but her steadfast love and strength of spirits endures in each far – reaching branch of the family she loved so deeply. She will be forever missed and forever loved. A Memorial Gathering will be held on Thursday, December 6, 2018 from 4:00 to 7:00 P.M. at the Eikenberry-Eddy Funeral Home, 84 West Main St., Peru, IN. A Memorial Service, celebrating the life of Emma Grace Murphy, will be held at 12 Noon on December 8, 2018 at the St. Michael’s Catholic Church in Paintsville, KY, with Father Terence Hoppenjans officiating. Burial will be at the Davis Branch Cemetery, Paintsville, KY. In lieu of flowers, memorial donations can be made through the funeral home to the Alzheimer’s Association.